Living the low carb lifestyle can be difficult. I’ve tried before, and I think that most of my problem is that I didn’t try a variety of foods, and I didn’t keep low-carb snacks on hand. Now I have no excuse! 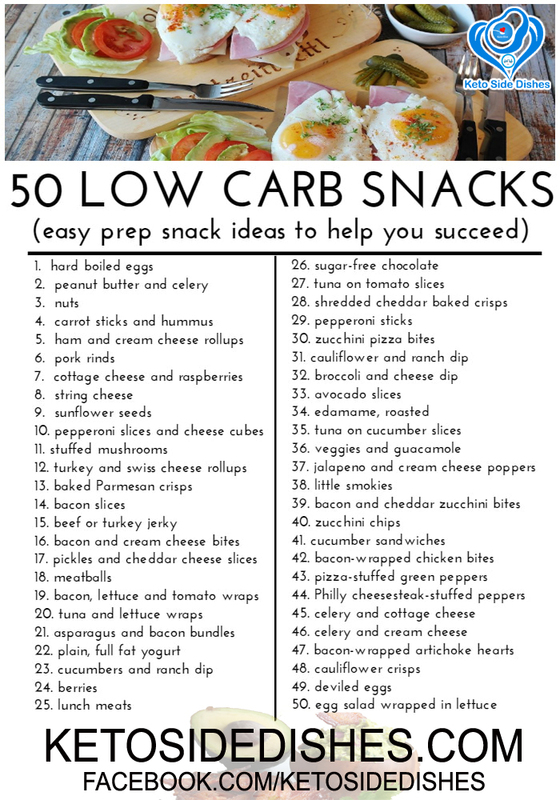 I’ve compiled this HUGE list of 50 low carb snacks ideas to help both you and me. And the good news is that most of these require very little prep or cooking at all. They’re easy peasy snacks you can whip up in just a few minutes, with a few exceptions. 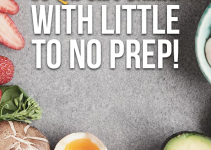 Having these items on hand will also help you make simple low carb meals, too. Please keep in mind that, as with all foods, you need to watch your portions. Things like nuts, sugar-free chocolates and berries are easy to indulge in when you’re low carbing, but you need to portion them out before you start snacking to avoid eating too much. 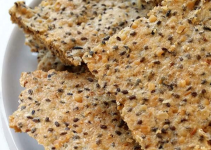 Here’s the low carb snacks list. Print it out for easy reference using the image above. You can also pin it for later.